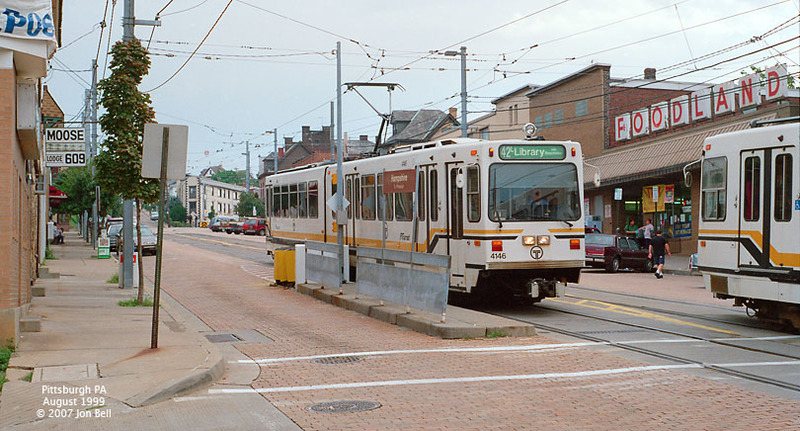 Myrtone wrote: I have done searching and found out something Cleveland's light rail, which grew out of a streetcar system, the only survivor in Ohio, and the closest survivor to Cincinnati, closer than Pittsburgh or Philadelphia, let alone New Orleans. Cleveland doesn't have the only high floor light rail vehicles with low platforms, there are other cities with the same setup, at least on some of their lines. It's Blue and Green Lines were for all practical purposes built between WWI and WWII, although they were extended in 1996 to the Waterfront. The specific legislation, that requires level boarding for transit was the Americans with Disabilities Act (ADA) passed in 1990. Most of Cleveland's light rail lines were built way before that. But there are other systems built with high platforms even before the A.D.A, such as that in nearby Pittsburgh. Buffalo, on the south side of Lake Ontario also has high platforms on the underground section. St. Louis has them too. Aren't entrance steps usually found on L.R.Vs serving stops that cannot have high platforms? By the way, I wonder if Cleveland might consider, upon refurbishment of its fleet, replacing the fixed low level steps with folding ones, and rebuilding stops with platforms the same height as the vehicle floor. This way, they will be able to achieve level access without replacing the fleet. If high level platforms are possible in all locations, then the problem that low floor L.R.Vs were designed to solve has been avoided. Mr. Myrtone, there is nothing especially strange about Cleveland's light rain system, most of which comprised the former Shaker Heights Rapid Transit line. It's a legacy system in a struggling rust belt city that doesn't have a lot of money to spend on transit improvements. 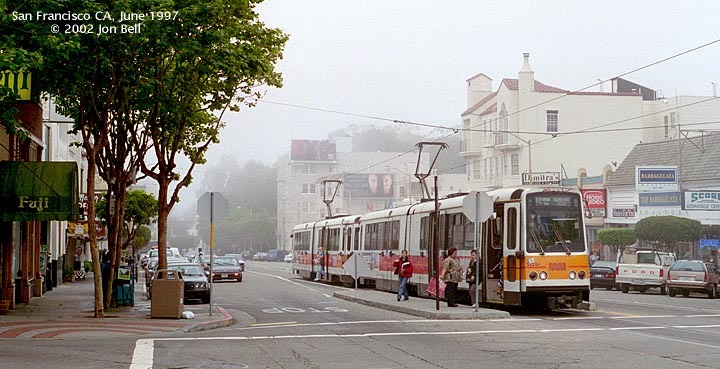 The oldest part of the current trackage dates to 1913 and the Breda car fleet was built between 1981 and 1984, all before the ADA was interpreted to mean that full step-free access is required in light rail applications. It is probable that when the Bredas finally wear out they will be replaced with low floor vehicles, but there are no immediate plans (or money) for that and for now they carry on. I know it is an old system, but so is that of Pittsburgh, which seems to have had high level platforms since before the A.D.A even existed. As fas as I know, other older (pre-A.D.A) systems with low level platforms, such as San Diego has stops in locations where platforms that high aren't possible. What about Cleveland? Why not just build up the platforms and either rebuild them existing fleet or replace them with newer high floor vehicles? There are no street stops. Myrtone wrote: Why not just build up the platforms and either rebuild them existing fleet or replace them with newer high floor vehicles? Money. That, plus the fact that as light rail systems go, patronage on Cleveland's Green and Blue lines (the former Shaker Heights lines plus the 1996 Waterfront branch) is fairly low compared with many other cities, making low platforms sufficient for the volume of business. But the A.D.A means that low platforms are no longer sufficient. In case of Pittsburgh, the conversion did begin before the A.D.A was interpreted in the way mentioned above. Even Buffalo's system, which has high platforms on the underground sections, opened before that legislation. The advantages of building up the platforms to the height of the existing vehicle floors are that level boarding can be provided to existing rolling stock, any new rolling stock can still have conventional railway type bogies, and that it can share some platforms with the existing Red line. Mr. Myrtone, I'd suggest that you may want to start a GoFundMe site on behalf of the Cleveland RTA. But I don't live in North America, and haven't even been there. TomNelligan wrote: Mr. Myrtone, I'd suggest that you may want to start a GoFundMe site on behalf of the Cleveland RTA. DART's (Dallas) original Kinki Sharyo LRT fleet has steps, but each two-car train had a third, low-floor level-boarding car added in the center. Perhaps that's the best option for Cleveland RTA, once they get the money. 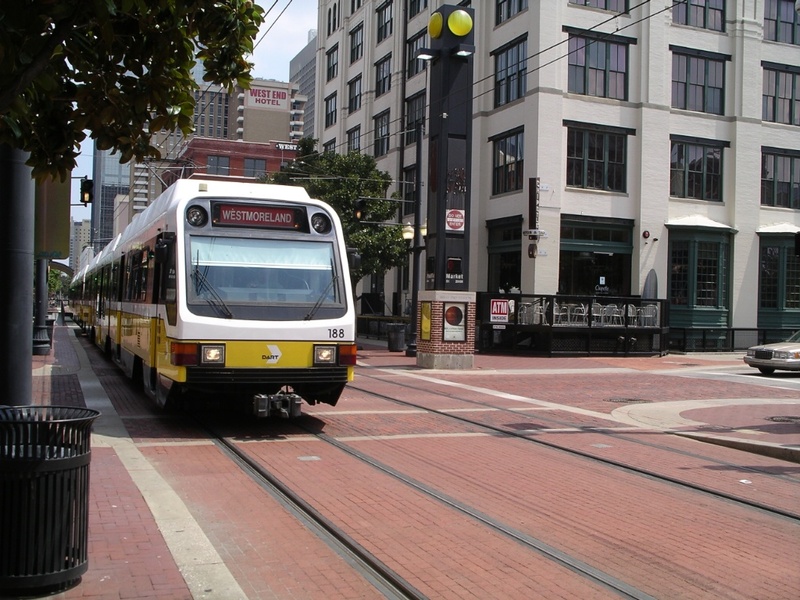 If this would not work here, that would make it the best option for Dallas, if high platforms are possible in all locations on the Cleveland light rail, why not just remove the stairwells and built up the platforms. Unless they want to extend it into locations that don't allow for high platforms. Aren't the LRVs narrower than the Red Line heavy rail cars? You would need some kind of gap filler at the shared stations if the LRVs and heavy rail used the same high level platforms. You may need a gap filler, but even so, I do wonder if it this, combined with the possibility of high platforms in all other location, might be easier to rebuilt the existing stock for high platform loading and add high platforms to other locations. Low floor vehicles are for where there is a legitimate reason against high platforms, and I think the photos linked to above demonstrate a common one in street transit, which the Cleveland R.T.A appears not to be. High floor vehicles have a number of advantages over low floor, especially where existing rolling stock is high floor, and the only advantage of low floor is level boarding in locations the preclude the use of high level platforms. Myrtone wrote: I know it is an old system, but so is that of Pittsburgh, which seems to have had high level platforms since before the A.D.A even existed. 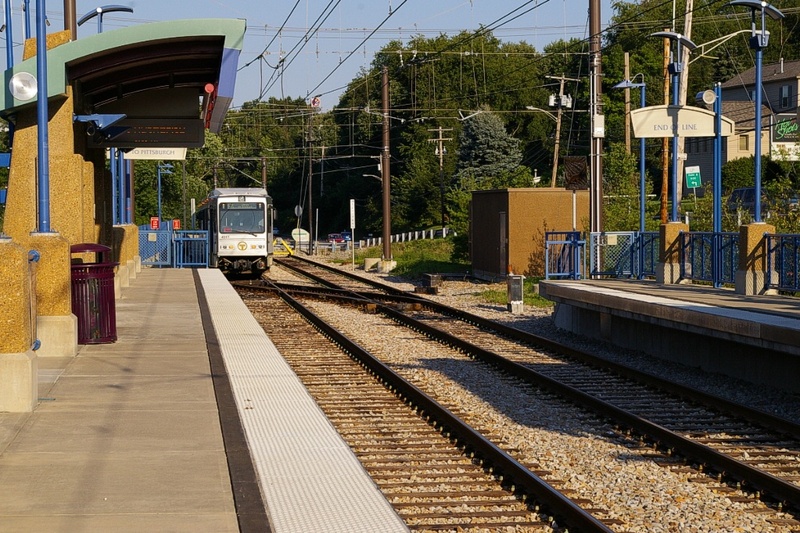 When I last visited Pittsburgh c. 2000, there were still some low-level boarding stops accessed by a door with steps at the front of the train, especially on the street-running section in Beechview. As far as I know, they still existed until the current reconstruction in Beechview. I don't know whether the reconstruction is supposed to replace the low-level stops with high-level ones, although I doubt it, because of cramped locations like the one in this picture. I think San Francisco's Muni Metro light rail lines also still use low-level boarding at many locations along their outer portions. This picture is about 20 years old, so I'll be happy to be corrected.